A few months ago, Paul Bawcutt, product specialist with Yamaha Canada, gave me his take on that question. Most people attending audio shows want to see and hear the kind of no-holds-barred systems they’d buy if they won the lottery, he said. If visitors poke their heads into a demo room and see a system they could afford on a normal paycheck, they’ll do a quick 180 and head off to the next room. Yamaha learned this lesson the hard way at past shows, when they focused their exhibits on systems priced in the low to mid-thousands. So for the past few years Yamaha has been showing mid-five-figure systems built around their NS-5000 speakers. While most MAF exhibitors showed expensive, aspirational hi-fi systems, I came upon several products that fit Simplifi’s focus: “convenient, lifestyle-oriented hi-fi,” to quote the blurb on the SoundStage! Network hub. I’ve already covered some of these products on the site, but I learned more about them in Montreal. There were also several products that you’ll read about on Simplifi in the coming months. Price-wise, Kii Audio’s Three DSP-controlled active speaker is a high-end product. But as I noted when I reviewed it last fall for Simplifi, the Three is probably the most room-friendly audio product I’ve ever experienced. Not only did it receive Reviewers’ Choice honors, it was named a SoundStage! Network Product of the Year for Pioneering Design Achievement. Chris Reichardt, CEO of Kii Audio, was on hand at MAF -- an ideal opportunity to present Kii’s award in person. In the photo below, Reichardt is at center, your faithful correspondent at left; at right is Bryan Taylor, president of Kii’s Canadian distributor, The Gramophone Inc., of Edmonton, Alberta. Kii’s demo system had a pair of Threes installed atop the company’s BXT bass-extension modules, introduced last year. Each Kii Three houses a front-firing 1” wave-guided tweeter and 5” midrange, plus two side-firing and two rear-firing 6.5” woofers. Each driver is powered by a 250W Ncore class-D amplifier. Inside each BXT enclosure are four front-firing and four side-firing 6.5” woofers, each with its own 250W Ncore amp. In Canada, the Kii Threes sell for $24,500/pair in standard finishes, including the Kii Control switcher/controller. Add another $25,000/pair for the BXT modules. So we’re up to 50 grand, well into high-end territory. The Kii Three exhibited the same uncolored, coherent sound I recalled hearing in my home, delivering stunningly deep, impactful bass for a stand-mounted speaker. When switched in, the BXT modules provided a deeper foundation, for a more visceral listening experience. When an audience member asked if Kii was using room EQ for their demo, Reichardt said they weren’t. Nor had the demo room been acoustically treated. As Reichardt explained, room treatments are unnecessary with Kii speakers, because the Three’s sophisticated DSP cancels rearward bass and midrange output -- the speaker acts as a point source, directing sound only forward, thus minimizing the room’s effect on the sound. That last claim got my attention -- I live in a small urban row house. In May, at Munich’s High End, I’ll have an opportunity to learn more about this, and find out more about how the Kii Three was conceived and designed. During the Montréal Audio Fest, I arranged with Reichardt to interview Kii Audio’s chief technical officer, Bruno Putzeys, for Simplifi’s “Active Voices” series. Watch for that interview in June or July. Elac’s new Navis ARB-51 active stand-mounted speaker ($3000/pair), which I recently reviewed for Simplifi, is definitely affordable by people earning normal paychecks, and is right at home in real-world listening environments. But even though the ARB-51 isn’t an aspirational product, attendees clearly wanted to hear it. Karem Banna, director of Elac America’s custom and commercial division, told me that visitors were often lined up 40 deep for demos of the ARB-51, which Elac was presenting in a large room on the conference level. In a small demo room upstairs, designer Andrew Jones was demonstrating the Navis ARF-51 floorstander ($6000/pair). Both systems have a 1” tweeter concentrically mounted inside a 4” midrange driver. The ARB-51 has a single 5.25” woofer, the ARF-51 three. The tweeter is powered by a 40W class-AB amplifier, the midrange by a 100W BASH amplifier, and the bass section by a 160W BASH amp. Why have the smaller Navis speaker in a big conference room and the bigger one in a small hotel room? “We wanted to show how a small speaker can fill a large space,” Banna explained. To that end, Elac used a playlist of fun party music to demonstrate the ARB-51s. In the upstairs room, Jones was playing an eclectic mix of classical, jazz, and popular music through the ARF-51s, which were fed by an Elac Discovery DS-101G music server and an Alchemy DDP-2 DAC-preamp. As often happens at audio shows, I made two wonderful discoveries during Jones’s demo: John Campbell’s cover of Tom Waits’s “Down in the Hole,” from Campbell’s Howlin’ Mercy (Elektra); and a J.S. Bach sonata played by violinist Lara St. John and harpist Marie-Pierre Langlamet (Ancalagon). In very different ways, both tracks sounded fantastic. The bass riff that opens “Down in the Hole” was deep and impactful, and Campbell’s reverb-drenched slide guitar was edgy and menacing, as was his growling, bluesy baritone. On the Bach piece, St. John’s violin had some of the sweetest string tone I’ve ever heard. Langlamet’s harp sounded gorgeous as well. Upper-string notes had just the right amount of edge, and lower-string notes had really impressive body. Although I’ve just reviewed the ARB-51, I want to review the Navis floorstanders, now that I’ve heard them as well. Banna confirmed that Elac will soon provide review samples. Expect a review of the ARF-51 on this site this summer. This suggestion arrived too late for me to try it with the ARB-51s -- but if I run into the same problem with the ARF-51s, I’ll give it a whirl. Located in Coquitlam, British Columbia, on Canada’s left coast, Kanto Audio has made a name for itself selling inexpensive powered speakers like the YU2 ($279/pair), the YU4 ($429/pair), and the YU6 ($519/pair). At the Montréal Audio Fest, in addition to those popular models, Kanto showed the final version of its Tuk powered speaker ($999/pair). I first learned about the Tuk at the 2018 Consumer Electronics Show. Now, almost a year and a half later, they’re ready to ship. As its price indicates, the Tuk is a more ambitious product than the YUs. Each enclosure houses a 5.25” aluminum woofer and an Air Motion Transformer (AMT) tweeter. The master speaker, which can operate as the left or the right channel, contains a 65Wpc class-D amplifier that powers both speakers. 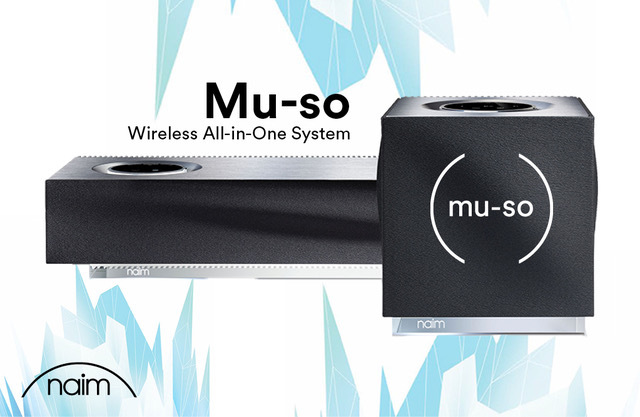 There are two sets of RCA inputs, one for MM phono, the other line-level, as well as a TosLink digital input, a USB port that can accept datastreams of resolutions up to 24/96, a subwoofer output, and a headphone output. When a sub is connected, an 80Hz low-pass filter is engaged for the sub and an 80Hz high-pass filter for the Tuks. Included with the Tuks is a very nice, solid remote control. The user can also select sources and adjust volume using a knob on the master speaker’s front panel. Kanto’s marketing manager, Brett Smalley, has confirmed that Simplifi will receive review samples as soon as a pair of Tuks is available. I look forward to hearing how they compare with other powered speakers recently reviewed on Simplifi, notably Totem Acoustic’s Kin Play ($1250/pair). Probably the most talked-about new audio product at CES 2019 was NAD’s M10 BluOS streaming integrated amplifier ($3299). Lenbrook International, NAD’s parent company, didn’t exhibit at MAF, but dealer Audiophile Experts, from Beloeil, Quebec, just south of Montreal, demonstrated a system that included NAD’s M50.2 server and M32 amplifier, driving a pair of JBL Synthesis L-100 Classic speakers ($5995/pair). The speakers fit in beautifully with the show’s Woodstock Festival theme. Audiophile Experts had an M10, but only on silent display, so I had no chance to hear it. No matter -- UPS had dropped off a review sample at my home the evening before I departed for Montreal. I’ve already unpacked it, and will have logged in many hours of listening by the time you read this. I’m looking forward to that experience, because the M10 sounds like one cool product. It’s also drop-dead gorgeous. On the front panel is a TFT touchscreen that shows track information and album artwork during network playback, and VU meters when playing from connected sources. You can select sources and adjust volumes and other settings using the touchscreen, but for streaming music from the Internet or a local music library, you need to use the BluOS app on a smartphone or tablet. And the M10’s specs at least read as if it’s got serious audio chops: 100Wpc of class-D amplification based on Hypex Ncore technology, and built-in Dirac Live room correction. We’ll have a full review on May 15. Montreal dealer Son Ultime had a big high-end system featuring McIntosh electronics and Sonus Faber speakers, but that’s way outside Simplifi territory. However, Filtronique, also based in Montreal, had two McIntosh products on silent display that are right in our wheelhouse: the MTI100 integrated turntable ($6500 USD) and the RS200 wireless music system ($3000 USD). I’ve requested review samples of both. The MTI100 combines a belt-driven platter with pre-fitted Sumiko Olympia cartridge, an 80Wpc (into 4 ohms) class-D amplifier, a tubed preamp stage, and a headphone amp into one unmistakably McIntosh component. The RS200 also has iconic McIntosh design cues, including big, blue VU meters. For each channel there’s a 0.79” (20mm) titanium-dome tweeter, two 2” (50mm) titanium inverted-dome midrange drivers, and a 4” x 6” woofer. 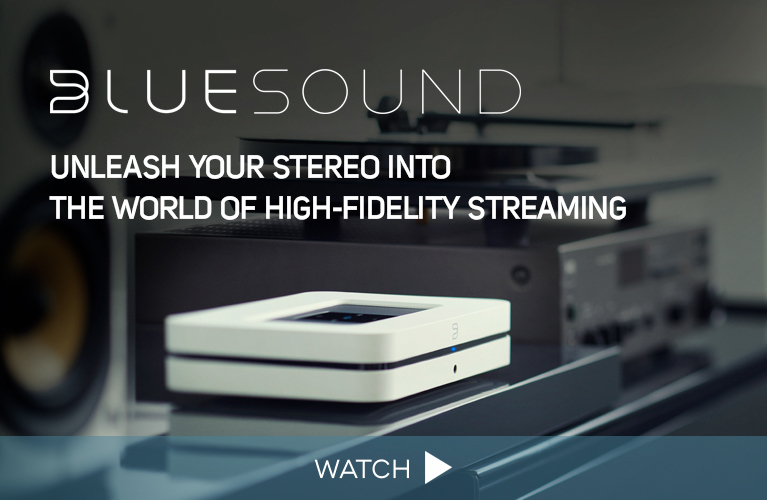 The RS200’s total rated amplifier output is 650W, and it supports AirPlay 2 and DTS Play-Fi. On Friday afternoon, then twice on Saturday, Roon Labs VP Steve Silberman presented a one-hour seminar titled “Introduction to Roon and the Roon Ecosystem.” Truth be told, this was much more than an introduction -- I’d call it a moderately deep dive. I’ve been using Roon for a couple of years. I’m definitely not a power user, but I’m an experienced user -- and I learned a lot from Silberman’s presentation. In a feature published last January, I outlined how I’d customized Roon to display my music library (and my Tidal and Qobuz favorites) the way I want: with metadata that reflects my musical tastes and listening habits. When it comes to selecting music, I’m more of a browser than a searcher. It’s rare that I sit down for a listening session already knowing what I want to hear. I want to scroll through my collection, then decide. 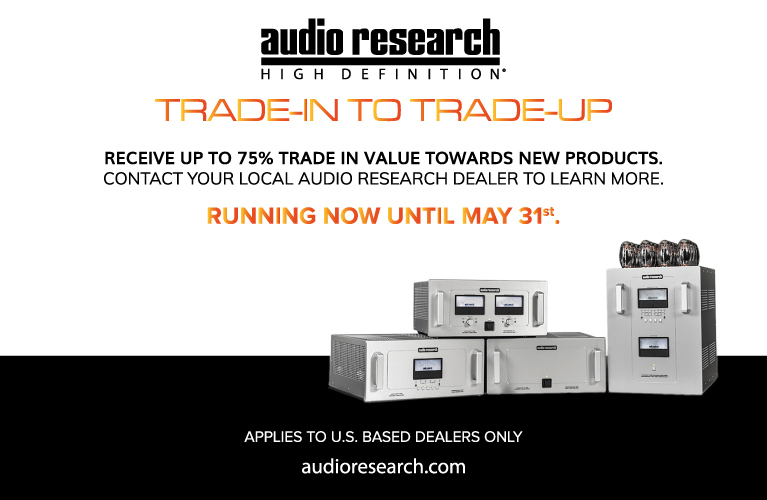 But lots of listeners are searchers -- when they fire up their sound systems, they’re looking for something specific. Silberman showed how Roon’s powerful search tools can help these listeners zero in on music that matches their mood at the moment. He specified a time period (1990-2005 if I remember correctly) and a couple of genres (rock and country), and Roon quickly listed music in Silberman’s library that checked all these boxes. Silberman also demonstrated how Roon’s extensive editorial content dynamically changes to match users’ music libraries. Discussing hardware, Silberman demonstrated how Roon can accommodate a huge variety of playback gear -- not only Roon Ready components, but products that support such protocols as Apple AirPlay and Google Chromecast. He also demonstrated a useful tool that displays the full signal path for whatever you’re playing. As Silberman noted, you can use a standard Windows PC, Mac, or Linux computer to run Roon Core software. But if you have a very large library, or if you’re using Roon’s DSP functions to resample digital data, you might need more horsepower than a consumer PC can provide. Seeing this need, Roon last year introduced two dedicated music servers: the Nucleus ($2100) and the Nucleus+ ($3700). The Nucleus+ can accommodate bigger music libraries and handle more demanding DSP functions, and both are designed specifically for audio. They’re heavily shielded, and have minimal operating systems and no moving parts. Silberman’s comments really piqued my interest. I’m very curious to see how a Nucleus server compares sonically to the modified, mid-2011 Mac Mini I currently use as my Roon Core.